Entrepreneurs around the world are riding a favorable wave. There has never been so much interest and seed capital available for new ventures as we’ve seen lately. The number of startups has proliferated globally. Venture capitalists in the U.S. invested $48.3 billion in 4,356 deals in 2014. The amount represented a 61% increase in dollar amounts and a 4% percent increase in deals over the prior year, according to data from Thomson Reuters. In Latin America, investments in private equity and VC funds reached US$10.39 billion in 2014, surpassing the previous record of US$10.27 billion in 2011. However, the exit environment has been rather quiet, a reflection of Brazil’s macroeconomic challenges. On April 29 discuss the Brazilian investment market with our guest Antoine Colaco, Partner at Valor Capital Group an investment firm focused on Brazil and US-Brazil cross-border opportunities, co-founded by Clifford Sobel, former US Ambassador to Brazil. 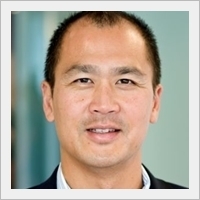 In a conversation with Andy Tsao, Managing Director of Silicon Valley Bank, Antoine will talk about some of the LatAm companies in Valor’s portfolio, his expectations for that market this year and his vision on Brazil’s entrepreneurial ecosystem. 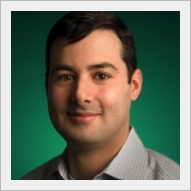 Prior to joining Valor, Antoine was at Google for 9 years serving in a wide range of capacities. He was most recently COO of Global Partnerships, supporting all of Google’s partnerships. Previously, he established Google’s India presence by founding operations in Hyderabad and grew its Latin American presence by launching offices and online AdWords operations in Brazil and Argentina.